Double-decker buses and tourist traps are the last things you’ll find in Oakland. 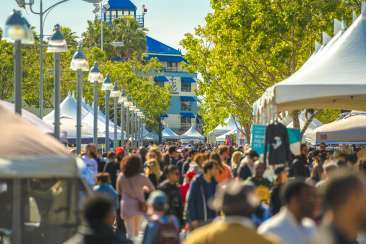 Here, travelers will get a taste of Oakland’s authentic soul as Oaklanders take their pride to the streets. From neighborhood food tastings and retro cocktail tours to urban winery bike rides and guided history walks, tours will let visitors in on the best of Oakland. Segway around Lake Merritt, tour the USS Potomac, or visit the Mountain View Cemetery, designed by famed architect Frederick Law Olmsted. Like everything else in Oakland, the tours are never ordinary and always unexpected.